Salisburys Accountants in North Wales are dedicated to serving our local communities. In addition to offering the best accountancy advice and services we are also proud to support several local charities and organisations in the North Wales area. We believe in giving back to our community and nurturing excellent qualities in businesses so that companies can better achieve their goals and maximise their potential. That is why we are happy to have close partnerships with many local charities and individuals. 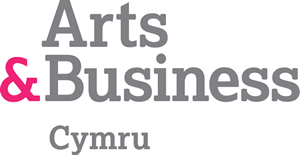 Salisburys are delighted to be members of Arts & Business Cymru. Arts & Business are experts in cultivating relationships between businesses and the arts by helping to form partnerships between companies and cultural organisations. Salisburys work with Arts & Business by offering mentoring services to individuals in arts related organisations who require assistance with financial matters and general financial coaching. We have several members of staff who sit on boards of local arts based charities to encourage interest in, and to support arts within our area. Over the last two years our director Jeremy Salisbury has been nominated as an Arts & Business Advisor of the Year and last year was runner up at the Awards Ceremony. Salisburys are proud sponsors of the North Wales Music Festival. As an extra contribution to the music festival, to help with their costs, we offer access to free facilities in the Salisburys headquarters. In 2012 the firm received the main award for Arts & Small Business in Wales. This is a wonderful recognition of what our firm has done as a small business for the Arts in our local community. It was fantastic to be recognised for our eight year support of the North Wales Music Festival. One of Salisburys Accountancy Firm’s sports sponsorship projects is Nick Lofthouse. 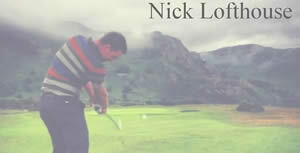 Nick is a very talented, young, pro golfer from right here in North Wales. We are very pleased to have the chance to help develop a rising young sports star in the local community. Nick has been playing since the age of 11 and continues to grow from strength to strength. We look forward to watching his career as he takes on new challenges. Salisburys Accountants North Wales are also supporters of St Kentigern’s Hospice. It is an honour to contribute to this very worthy cause that provides care for those with progressive or advanced illness. Salisburys Chartered Accountants are the recommended accountants of the fantastic business coaching & performance firm Peoplemad Ltd.
Peoplemad Ltd are specialists in improving performance, offering masterclasses, personal & business coaching and consulting. Salisburys highly recommend this expert firm as the go to professionals for improving performance and business coaching classes.